Pions new collection Linnaeus Botanical Journal has the most beautiful motifs and colors and make a perfect match to the Palette collection. 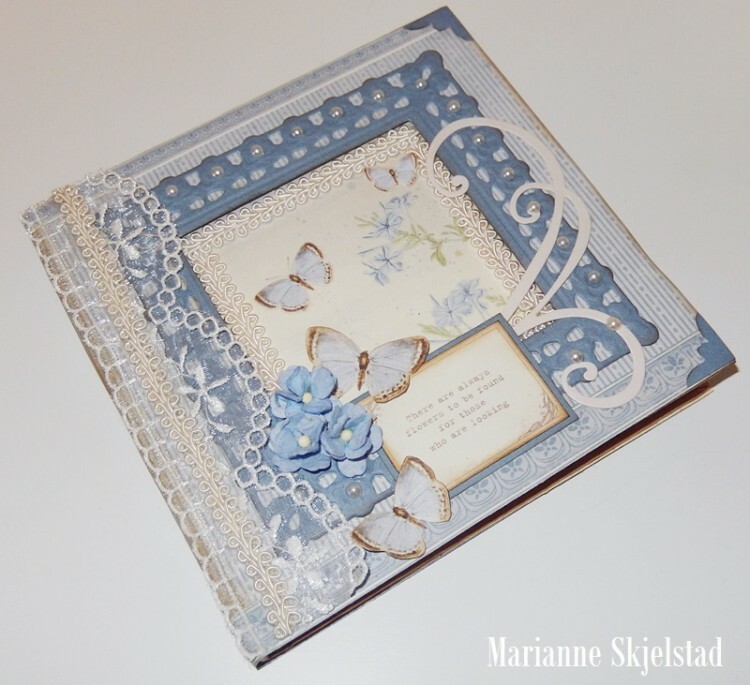 My first project is a decorated book i blue tones. Beautiful blues…cannot go wrong. This style along with the die cuts and laces really adds so much to this cover! Love the flowers and butterflies!